Former Oregon and Wake Forest Graduate Wide Receiver Tabari Hines committed to NC State while on an official visit this weekend. I caught up with him to get his take on why he decided to run with the Wolfpack. 1. What made your official visit at NC State special this weekend? Being around people who were being themselves, and it felt like a good time. It’s always awkward being recruited when they are pressuring you the whole time. Great opportunity. They develop players. Their offense has proven to be successful for a long time. They lost a lot of production that has to be replaced. I love ACC football. 3. You were successful against NC State in the past. What will it be like to flip the uniform? I think when people see this decision they are going to think it’s animosity towards the other school, or some type of payback, when in actuality it’s not. I don’t think of it that way. I pay respect to all the schools who gave me an opportunity to play Power 5 football. 4. What do you instantly bring to this team? Experience and perspective. I have a chip on my shoulder that’s gonna heighten the level of expectations day in, and day out. 5. What does it mean to come back home to the Carolina’s? Big blessing to end out my career closer to home and having my family there to support. I have a lot of ties to both Carolinas and I think it’s good to have that sense of comfort. NC State Quarterback Ryan Finley will hear his name called in the NFL Draft this week, which begins on Thursday. I think it’s been common knowledge that Finley is smart. My man’s not simply smart. He’s the smartest man in the draft according to the Wonderlic test. Finley scored a 43, which wasn’t simply the highest score amongst quarterbacks, but overall as well as far as we can see. The Wonderlic Personnel Test is a popular group intelligence test used to assess the aptitude of prospective employees for learning and problem-solving in a range of occupations. The Wonderlic is available in 12 different languages and is often used in college, entry level jobs, and team-making efforts. It consists of 50 multiple choice questions to be answered in 12 minutes. 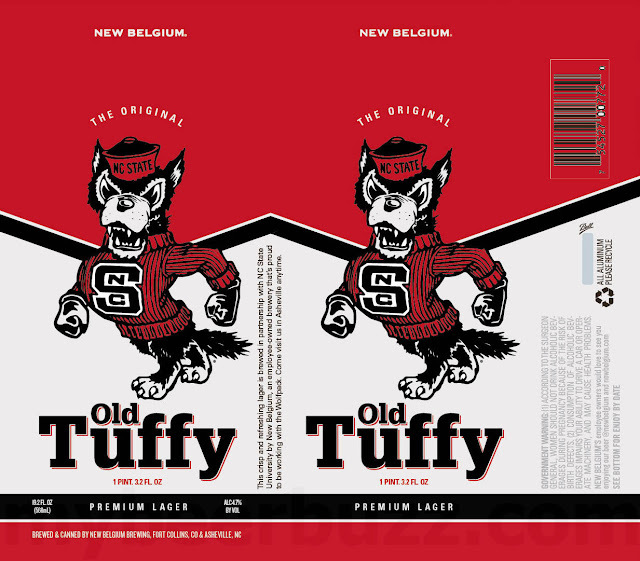 New Belgium Brewing is going to be releasing a “Old Tuffy” beer in partnership with NC State. The beer will be 4.7% ABV, and will be sold in 19.2oz cans, 12oz cans, and kegs. I’m starting to think there is a pattern here. On Monday night the Carolina Hurricanes were in desperate need for some luck. They were down 2 games in the 1st round of the NHL Playoffs to the Washington Capitals. Who do you call when you need a win? NC State Men’s Basketball Coach Kevin Keatts sounded the siren on Monday night in PNC Arena for the Hurricanes. Last night, the Hurricanes experimented to see if the NC State–>Hurricanes connection would work once again. This time they doubled down, calling upon Wolfpack head football coach Dave Doeren and former NC State ACC Player of the Year TJ Warren to sound the siren. Side Note: How can you not love Aaron Henry? The series is now dead even at two games apiece. The data has been collected, and the results are in. NC State is functioning as the Hurricane’s rally cap. Game 5 is Saturday in Washington, and then Game 6 will be back in Raleigh in PNC Arena on Monday night. There is really only one thing to be done at this point. A double bill of NC State Athletic Director Debbie Yow and Wolfpack legend David Thompson. House Bill 389 was approved by the North Carolina House of Representatives yesterday, which would allow beer and wine to be sold athletic events at UNC System Schools. That means we are one step closer to alcohol being sold in Carter-Finley Stadium, PNC Arena and Doak Field. The bill has now been passed on to the North Carolina Senate for consideration. The bill proposed by NC House Majority Leader John Bell (R-Wayne) and NC Senate Majority Whip Rick Gunn (R-Alamance) has the support of 14 of the 15 UNC System Schools, including NC State. Duke and Wake Forest, which are private universities, already sell alcohol at sporting events. Duke only sells it in restricted areas, whereas Wake Forest has moved to also selling it in the open area. In the ACC, Louisville, Miami and Syracuse sell it in the open area as well. Statistics show when schools allow the sale of alcohol the number of alcohol related incidents dramatically drop. After allowing alcohol sales in 2011, West Virginia University saw a 35% decrease in such incidents. The Ohio State University saw a similar decrease in 2016 – while also generating $1.2 million in sales that year.